Regular eye tests "are essential"
It is essential that people undergo regular eye tests if they are to reduce their chances of developing eye conditions, one expert has stated. Sarah Zerbib, head of marketing and PR at the International Glaucoma Association, said that the visits can help eye doctors and opticians to identify the onset of a wide range of diseases and slow their progression or even cure them. She added that glaucoma in particular is a major eye problem which affects a large proportion of the country - something which could be curbed if the pubic underwent more regular eye tests. "Not much can be done to reduce the risk of glaucoma, that is why it is so important to keep going for eye tests. 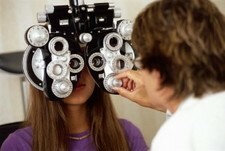 Regular eye health checks, at least every two years, are key," the expert added. This comes shortly after Former health journalist Sarah Zerbib said that it is easy to incorporate plenty of fruit and vegetables into a person"s dietary regime, and doing so will keep eyes healthy and stave off the onset of certain diseases.